Exclusive interview for SPINOFF.COM with Marc Hartog, Founder&CEO of 1854 Media, the professional British award-winning digital media brand with rich history and a fast-growing global audience of millions, which creates photography and standout visual content for brands and provides platforms to help photographers succeed. SOC: Mr. Hartog, we would like to start with the general overview of your company 1854 Media in order to present it to our partners, science-based spinoffs' founders, who will be able to take advantage of your professional media services. Could you please elaborate on the story of the company's creation, your vast experience and the team? Have you received any honors or awards along the way? Mr. Hartog: 1854 Media company started 5 years ago in 2013 by the management buyout of a magazine brand called British Journal of Photography (BJP). As for my background, I was a Financial Director of a large media company called Incisive Media for a number of years. I moved to the commercial role publishing the British Journal of Photography in 2011. Then a couple years later I realized the buyout to create an independent company. We've focused on the photography side of things. BJP is the oldest magazine of photography in the world since 1854 and here the name 1854 Media came from. The incredible heritage reflects within the content and obvious authority that curating contemporary photography and championing photographers throughout the world for 164 years brings. Following the 2016 raise, we rebranded to 1854 Media and built a world-class team to expand our platforms and develop new opportunities creating visually compelling narratives for brands. We use the credibility of the brand to build the variety of spinoff businesses. We have a number of awards and exhibitions. We own International Photography Award which is very well established in the contemporary photography and in its 14th year. 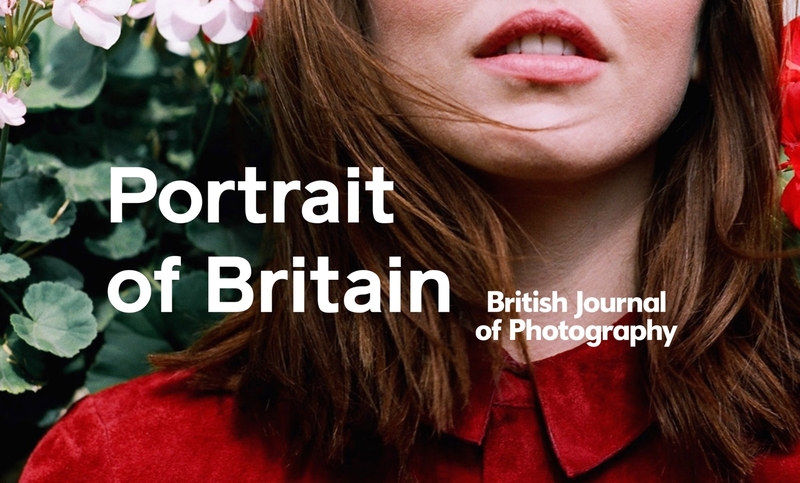 We've also launched the Portrait of Britain which became the largest photography exhibition ever and has been seen by about 30 million people, in collaboration with JCDecaux the UK leading advertising company. It took place the whole month of September within the last two years and is going to take place this year as well. It is the most viewed exhibition ever held in Britain. It will be showcased around all the UK and will take around 10 per cent share of all British advertising digital screens in the country. It is showcasing the portraits of ordinary people of Britain nationwide in all shopping centres, on bus stops, high streets and in train stations etc. That exhibition has helped us win a number of awards including the Publishing Innovator of the Year of the Professional Publishers Association (PPA) award, the most popular award in the UK’s publishing world and the Digital Innovation of the Year of the PPA Independent Publisher Awards. In recent years the most notable was the PPA Publishing Innovator award. More recently as well as exhibitions we've launched Studio 1854, which is our creative services agency. This will be most interesting to your community. We are becoming the leading visual content agency for brands who want to create content as part of their marketing strategy. The incredible image led content utilized in the social media activity we use in campaigns for them. We've already created the amazing content for the individual clients such as a lot of great films and photographic content which then is getting seen in the international press and seen by millions of people on social media with a fantastic return on investment. We have the whole variety of clients, not just the imaging sector, but we're working with tourist boards, with financial services and software companies, we've done things specifically in the scientific community. We've supported organizations that require reach within a very narrow community, the sort of organizations in your community such as high tech and deep tech companies we can certainly help. SOC: Could you please describe what is your company specialization and what services does 1854 Media provide? Who are your clients? Could you also share the story of 'British Journal of Photography' in brief? Mr. Hartog: I'll start with the BJP that was launched in January 1854 in very early Victorian times and was very much the kind of scientific journal that was discovering a new media, that the people didn't understand about very much, and was dedicated to the science that reflected the process of images creating and building the technology of taking images in general. While the first images were taken in 1830 it was just the beginning of the photography. Some of the writers that were very terrific interesting individuals published their first works in the BJP magazine. 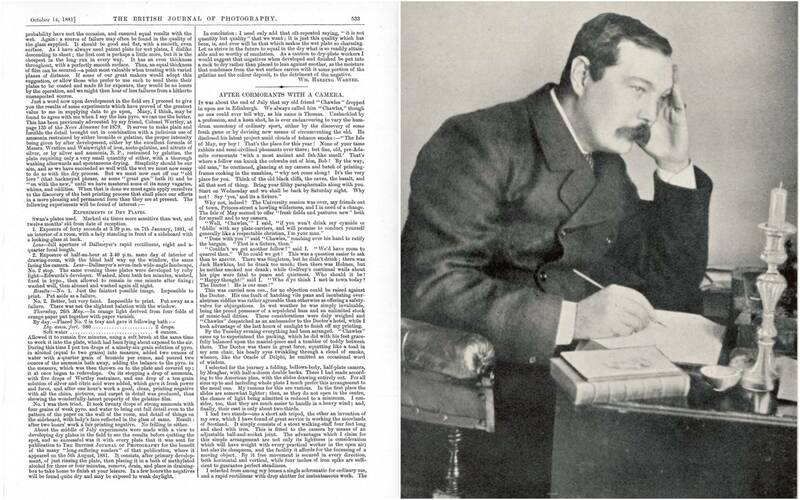 George Bernard Shaw first wrote for the BJP magazine as well as Sir Arthur Conan Doyle shared his first published essay in a BJP in 1881. It really developed over time into more of a trade journal which talked about the industry and the technology helping people get an overview of that sort of thing. Over the last 10 years, while switched into independent, we've developed it much more into the product in all its beauty which affects the human imagination. Today the BJP became pretty more a photo book which really placed the printing in the same way as vinyl and in the most efficient way and has its own special experience. We think today globally as the kind of place where people will see cutting age imaginary that is really focusing on the photography signature and the story and the narrative behind the images. For that reason, we used BJP brand to be able to partner with major festivals and exhibitions that have been happening all over the world. For example, we became the media partner for an exhibition called London Nights, the most popular event that is fusing portraiture, documentary, conceptual photography and film, and we also became a media partner for a Photo London, the UK major annual photographic fair. There are a number of partnerships that we have had on those sorts of lines. In terms of specialization, we're very much in the photographer's space. Everything we do is around photography and increasingly filmmaking as well. There are few mainstreams that we are comfortable with. One of them is publishing content. We've reached around 30 million followers on social media. Secondly, we have awards and exhibitions which is how we help the photographers to develop and grow. We have a number of opportunities throughout the year and very exclusive judging panels who look at those opportunities and selects images to be the exhibited, printed or published or get other various outputs. Then we have our new content agency Studio 1854, the one that creates content for brands from initial concept, crowdsources the creative elements, manages the shoots and creates content which then is seeing on a social media and other campaigns. We provide the concept marketing solution with the imaginary in the heart of that. SOC: Thank you Mr. Hartog for such detailed explanation and we know that you are now having the crowdfunding campaign at Crowd Cube and position yourself as 'the oldest startup in a photography'. Why so? Could you also share your ambitious future plans with our professional investor-oriented audience? What are you going to use those raised funds for? Mr. Hartog: We have a brand since 1854 which is very much out that mentality and we have 164 years of heritage with the main BJP brand in the photography that makes us unique. We are a startup with an audience of millions and with the hundreds of years behind the shoulders. In terms of our plans, we have very ambitious plans towards further development of the above-mentioned program Portrait of Britain, that became a real phenomenon and has been seen by many millions of people. It's going very well. So, from an investment point of view, it's a brilliant opportunity to have their work seen by millions. From an investment point of view the centuries-old commercial data we have grown towards revenue in the last two years. Our last five consecutive quarters were record-breaking with 2017 agency revenues up 234% and largest deal value in Q1 2018 10x pre-raise and generated a good amount of income which isn't the only UK focused. We're about to launch in partnership with one of the most influential photographic agencies in the world called Portrait of Humanity. This will be portrayed on an international scale. We are really excited to have dedicated resource, much larger marketing budget, to have creative and media partners from every continent around the world. We are happy to have the opportunity to grow with companies which multinational not only in terms of revenue to generate but also in terms of sponsorship and variety of different sectors. We have one more which we announced recently which has started within the exhibition and will take place next year. All these programs have the capacity to grow significantly. The magazine overseas subscriptions have more than doubled in the last two years. That tendency continues and extends in terms of growing subscription base community as well as revenue which is much more intensive through a premium offering. At the moment we market everything independently - existing subscription, the awards, the commissions that we're doing on behalf of brands within the crowdsourcing talents and giving the opportunity to earn income has their work through brand commissions, that's market independently as well. On top of those, we are building the technology platforms which is going to build a new technology. The premium subscription offering is where people will have a little bit more. They will be able to receive printed and digital materials to any place in the world, they’ll get access to enter our various awards throughout the annual calendar and also will get access to apply participation in commissions on behalf of brands. We see the significance of our digital offering. We see the community revenue the paper opportunity as well. The studio is going to be able to work with all of the clients with a variety of different organizations, such as, for example, California Tourist Board. All the variety of different organizations that we are working with under the same premise to create fantastic content for the audience and then do more commercial pitch offering campaigns to people who are engaged with that content. The Studio 1854 doesn't have its own website yet. Within the next couple of months, the Studio 1854 will have its own website. It will be able to start generating its own content and will be able to accelerate with additional of investment. SOC: Thank you for sharing so amazing results and so ambition plans with us and we wish only the best to your startup. As you might know, SPINOFF.COM is totally dedicated to new science-based spinoff businesses. We would like to point out what problem 1854 Media might solve and how could it be helpful for them? Could you also share the recent most memorable projects? Mr. Hartog: I think with any organization, whatever you are doing, however fantastic it is you need to inform and communicate with people about it. Otherwise this interesting product and business will be out of focus and attention that is so necessary for the growing company. That's really where we can help. We would like you to know more from the video presentation where we are discussing our growth plans and marketing strategy. SOC: From your vast experience, while working with small companies and big corporations, what piece of advice or maybe warnings you might give to the spinoff/startup founder in the sphere of your activity? What mistakes, in some cases even fatal, should they avoid? Mr. Hartog: You always need to make sure that you have enough funds to run your business even if you have a great discovery. You can run out a capital very fast and then you're in trouble, so you need to raise capital much earlier before you need it. We know that brilliant ideas precede all the businesses. The business that we think can probably work may fail as well and we cannot be 100 per cent sure about it because we’ve never done it before. People need to have confidence in their idea/product offering and to have your own strong abilities. You also need to be surrounded by the people who can help you to succeed and the business also requires the capital to make it work. Remember to bring a strong advisory board and the commercial leader to help you to transform what you have in mind into something really scalable. SOC: Money is a critical issue for the rising companies. Spinoff and startup founders take into consideration all expenses. One of the expected questions will be your price policy and whether they might receive a discount from your company and under which terms? Mr. Hartog: From the client’s point of view, the price could vary, as it depends on the peculiarities of the campaign and what the outputs are going to be, whether it is an exhibition, social media campaign or other video or photo content etc. We have a special mechanism for elaboration on all costs and resources to plan the social media campaign budget. We've got up to 25% discount for anybody in the community offering the standard discount for the content that we are curated out for an execution for such campaigns. We would like to express gratitude for the time that you have dedicated to this interview. We are pleased to introduce 1854 Media to our partners, investors and corporate businesses among our wide community, as well as to spinoff and startup founders at our platform, who can become your prospective clients and take advantage of your professional services. We wish only the best to your startup and happy to see many clients who will be attracted by the investors and customers with your photos, pitch videos, branding and commercials. SPINOFF.COM hopes for long and mutual collaboration!